Join Silvina Irwin, PhD, Certified EFT Trainer, Supervisor, and Therapist, and Lisa Blum, PsyD, Certified EFT Therapist and Supervisor Candidate for this exciting EFT training! Have you experienced the dilemma of helping couples achieve greater emotional connection through EFT, and yet found that this does not always translate directly into greater sexual desire, contact, pleasure and flexibility between the partners? Schedule: This training will run from 9:30 a.m. to 5:30 p.m.. We will break for a 1.5 hour lunch, and offer two 15-minute breaks. The total instruction time is 6 hours. CE Information: Participants may earn 6 CE credits for attending the entire program. Partial credits will not be offered. LACEFT is approved by the American Psychological Association (APA) to sponsor continuing education for psychologists. LACEFT is also an approved provider of continuing education by the California Association of Marriage and Family Therapists (CAMFT) for LMFTs, LCSWs, and LPCs. LACEFT maintains responsibility for this program and its content. Describe good process and relevant content for taking a thorough sexual history. Analyze a couple’s sexual relationship distress from an attachment frame, and outline a couple’s negative sexual cycle. Identify two or more models of sexual engagement and response, including the Dual Control Model of Sexuality. Outline interventions to help couples restart “safe touch,” including Sensate Focus and other mindful touch interventions. List markers within the clinical process that indicate good timing to introduce touch exercises. Outline an approach to introduce and process with a couple their sexual touch exercises for maximum effectiveness. Demonstrate increased self-awareness of possible blocks to their own comfort and flexibility in processing sexual content in couples therapy. Parking: You may NOT park at the library lot for this event. There is FREE parking available behind the library at the University of Phoenix lot. The parking lot can be accessed from Garfield Avenue, which branches off E. Walut next to the library. Click here for a detailed map. Includes continental breakfast. (Lunch not included – at nearby venues with 1.5-hour break). Scroll down for cancellation policy. Lisa Blum, Psy.D. (PSY#19790) is a licensed clinical psychologist who specializes in promoting healthy couple and family relationships through an attachment lens. Dr. Blum is an ICEEFT-Certified Therapist and Supervisor Candidate in Emotionally Focused Couples Therapy (EFT), one of the few research-validated therapies for helping couples and families strengthen relationships and build stronger connections. Dr. Blum is in private practice in Pasadena, where her work includes individual, couples, and family therapy, and supervision, training, and public speaking on family, marital, and parenting issues. Since the beginning of her career, Dr. Blum has been involved in teaching, research, and practice in the field of sexuality, and currently co-facilitates weekend workshops for couples who want to deepen and enrich their sexual connection. 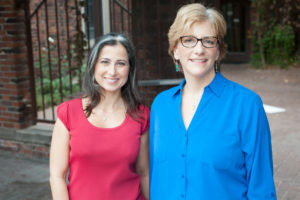 In addition, Dr. Blum and her close colleague Dr. Silvina Irwin lead consultation groups for mental health professionals who are refining their skills in integrating sexuality into their couples’ therapy work. Dr. Blum’s previous experience includes: Supervising Psychologist at the Institute for Girls’ Development in Pasadena; Supervising Psychologist for Children’s Hospital¬-Los Angeles; Staff Researcher at the UCLA Center for Adolescent Health Promotion; and Director of Education for the HiTOPS Teen Health Center in Princeton, NJ. Dr. Blum holds Masters and Doctoral degrees in Psychology from Rutgers University and a Bachelors degree in Psychology with honors from Cornell University. Silvina Irwin, Ph.D., is a licensed clinical psychologist in Los Angeles, and ICEEFT Certified Trainer and Supervisor in Emotionally Focused Therapy for Couples. Under the mentorship of Dr. Sue Johnson, founder of EFT for Couples,  Silvina offers trainings  in LA and other select US and International areas. She is co-founder of the EFT Resource Center in Pasadena, CA, which provides EFT psychotherapy services to the community and offers training and supervision to therapists in Emotionally Focused Therapy. In her psychotherapy practice, Dr. Irwin specializes in working with survivors of trauma and relationship distress. In addition, Dr. Irwin has developed and facilitated workshops for couples that want to deepen and enrich their sexual connection. 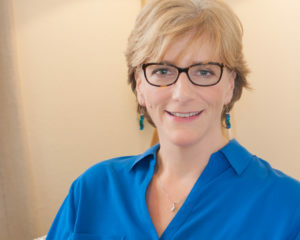 Dr. Irwin also leads consultation groups with her close colleague Dr. Lisa Blum for mental health professionals all over the country who are refining their skills in integrating sexuality into their couples’ therapy work. Dr. Irwin also offers master classes on working with trauma in couples therapy, and workshops on Vicarious Trauma of therapists, first responders, and the legal and medical community. To learn more about Dr. Irwin, please visit www.drsilvinairwin.com or www.EFTResourceCenter.com. LACEFT is available to make arrangements for individuals with particular needs. Anyone who requires special accommodation for a disability is requested to notify LACEFT at least two weeks in advance by contacting Betsy Walli at betsy@occounseling.net or (714) 584-4447. Refunds, less a $25 administration fee, will be issued for requests made on or before September 14, 2018. We will not issue refunds that are requested after September 14, 2018. LACEFT is fully committed to conducting all activities in strict conformance with the American Psychological Association’s Ethical Principles of Psychologists. LACEFT will comply with all legal and ethical responsibilities to be non-discriminatory in promotional activities, program content and in the treatment of program participants. The monitoring and assessment of compliance with these standards will be the responsibility of the Continuing Education Chair in consultation with the members of the continuing education committee. While LACEFTgoes to great lengths to ensure fair treatment for all participants and attempts to anticipate problems, there will be occasional issues which come to our attention which require intervention and/or action on the part of an officer of LACEFT. The CE Chair will receive and handle all complaints, coordinating with the President and Executive Director of LACEFT if necessary, to work out a fair resolution.